In addition to 'Lock In', I was asked to design a second range for the Bar Craft brand, which is now known as 'Mix It'. The brief for this range was to create a fun and playful design for a cocktail / party range that would appeal to young adults. 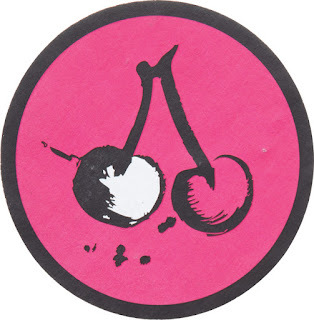 There were two parts to the brief. 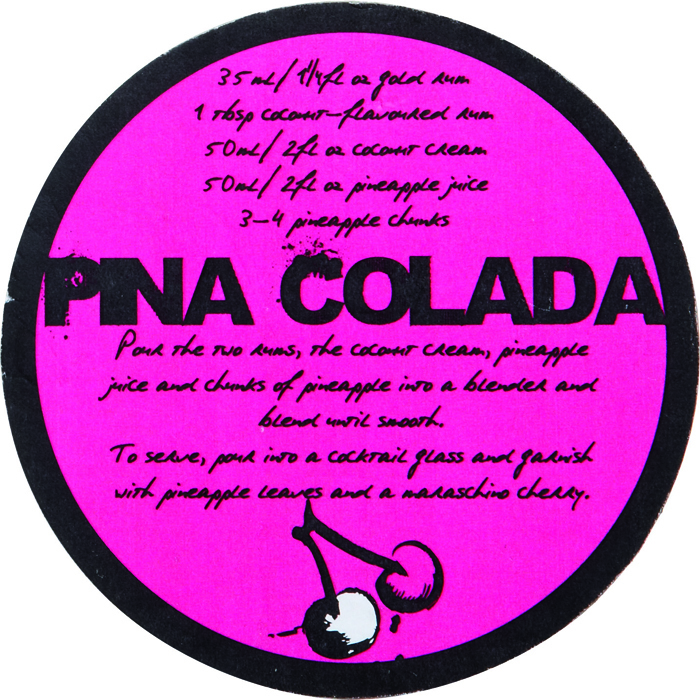 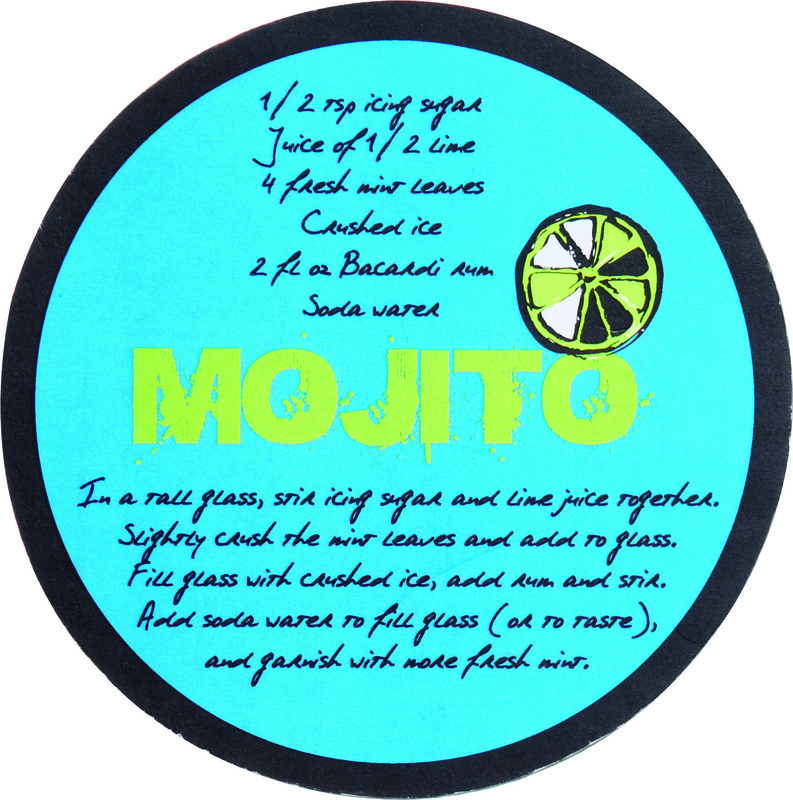 The first part was to create illustrations of products / objects associated with cocktail making, which were to be used on packaging and some of the products. 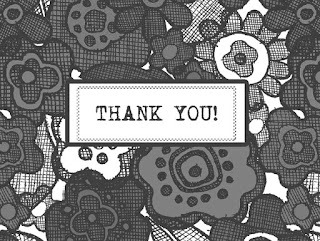 I wanted to create a strong, yet playful look, so turned to my trusty dip pen and ink to create a set of fluid drawings. 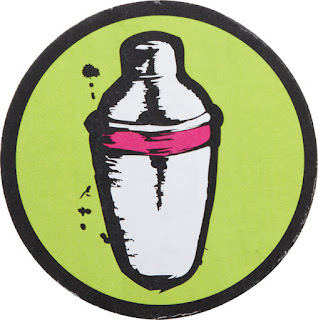 I love 'accidental' mark making, so embraced all the ink splatters and smudging that tend to form with this type of illustration. 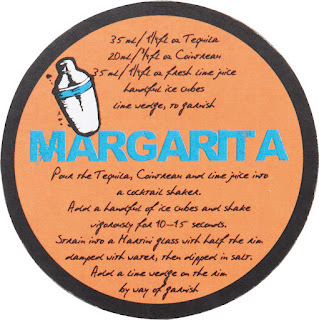 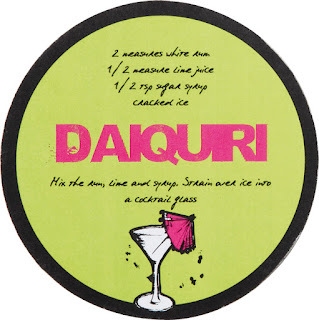 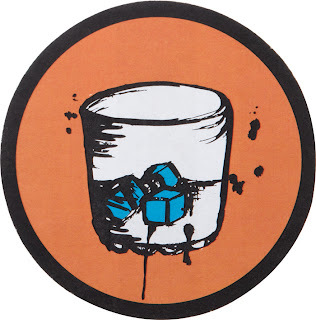 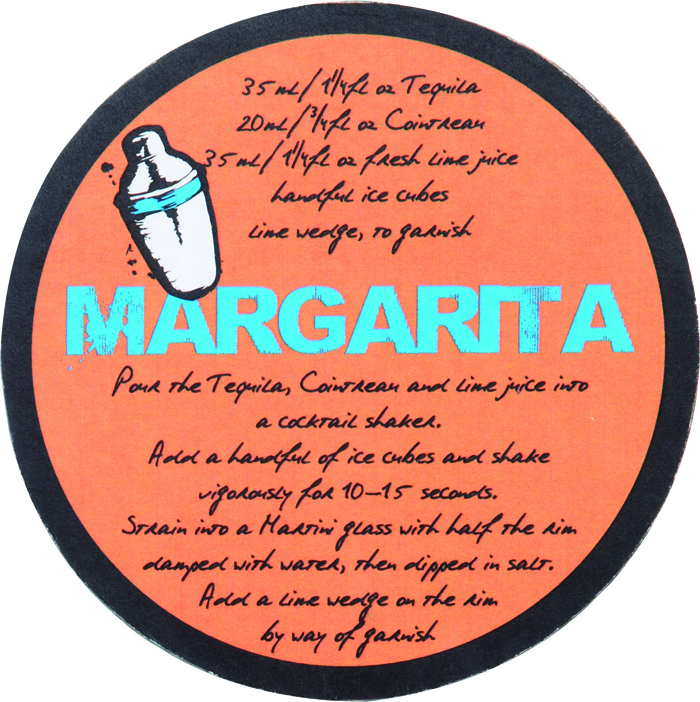 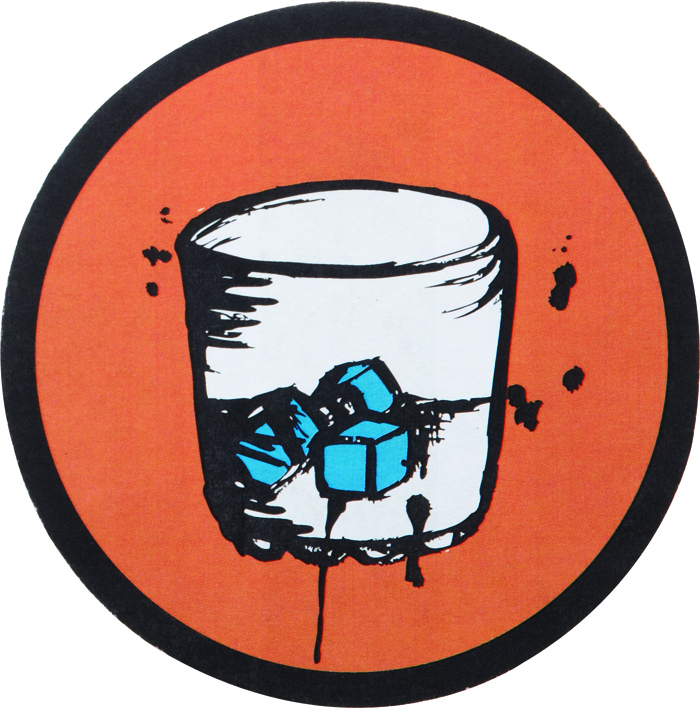 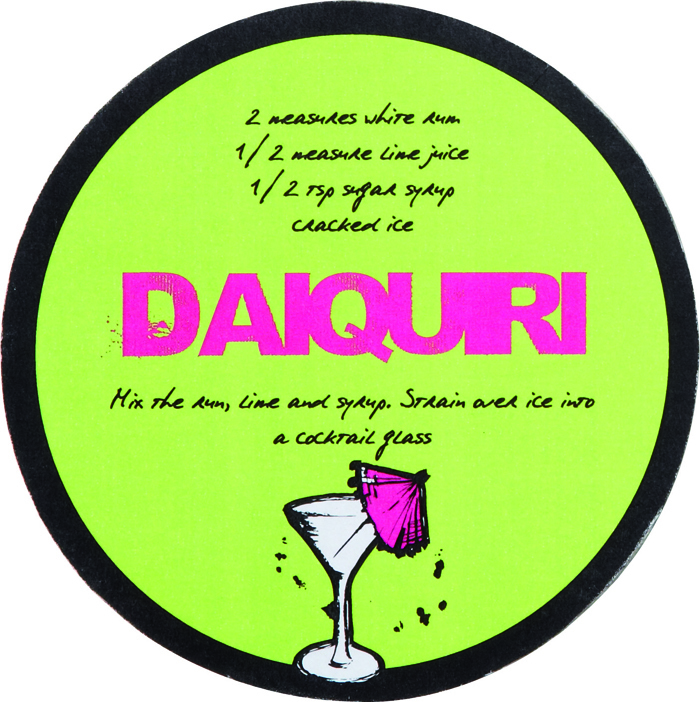 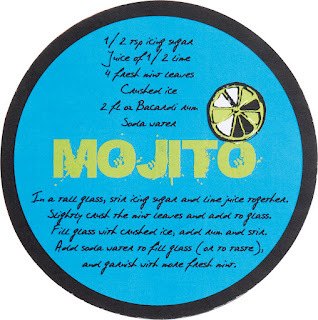 This can be seen to best effect on the cocktail coasters, which come in a set of four. 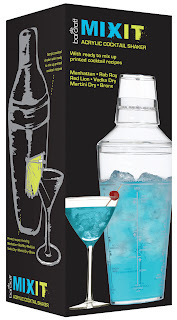 I really took these as the starting point for the whole range, using my favourite vibrant and acidic colours to set the party tone! Images copyright Kitchen Craft 2012. 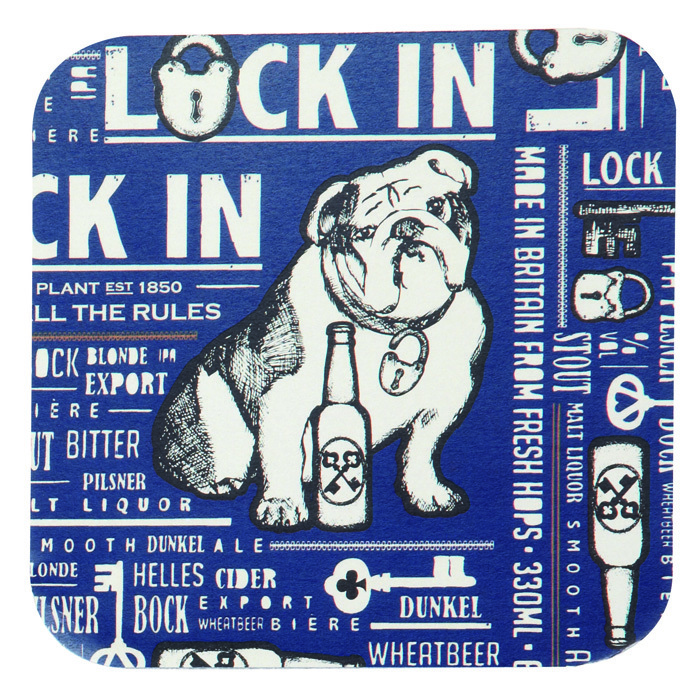 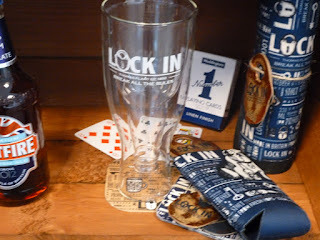 The logo plays an important part in the 'Lock In' range being used as part of the repeat print, stand alone on products such as the bottle beer glass shown above (- this product always makes me smile!) 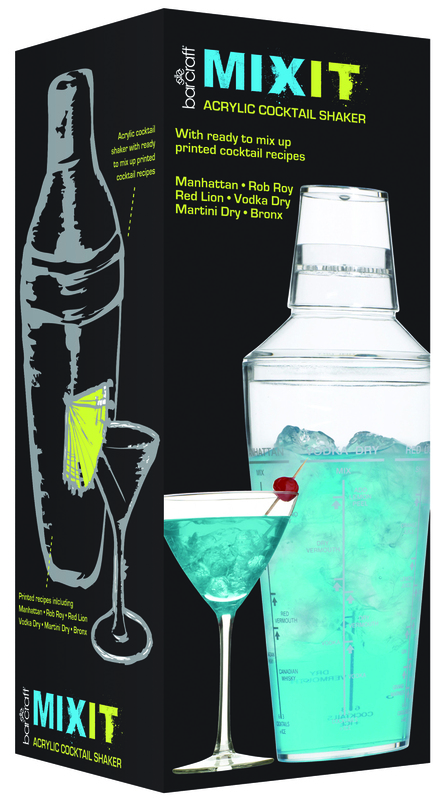 and also on packaging. Therefore I wanted it to be visually strong and to form a decorative image in it's own right. 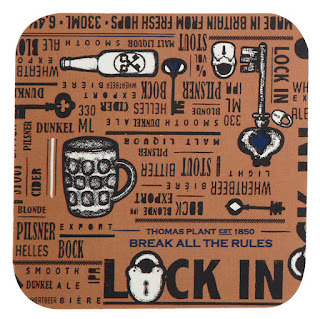 Hopefully, the Victorian padlock in place of the letter 'O' works as quite a masculine image, while simultaneously reinforcing the idea of tradition. 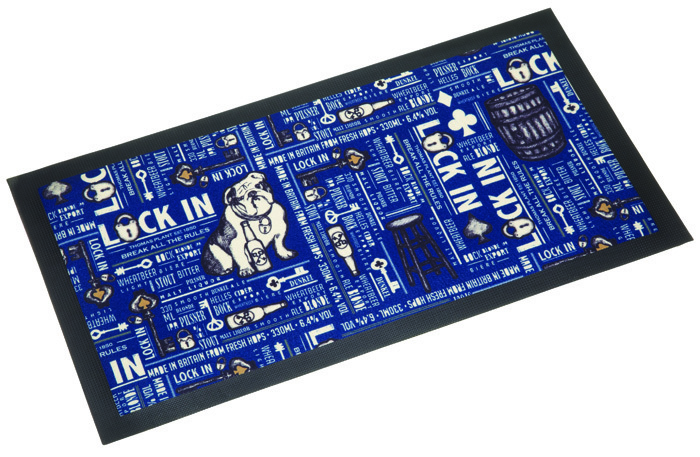 There is also a large tray, which I think shows off the design to very good effect! As you can see from the beer glass at the top of this post there was room to have a bit of fun with this range and one product that I really love is the key corkscrew and bottle opener, which was inspired by my key illustration within the repeat design and brought to life by the fantastic 3D designers at Kitchen Craft. 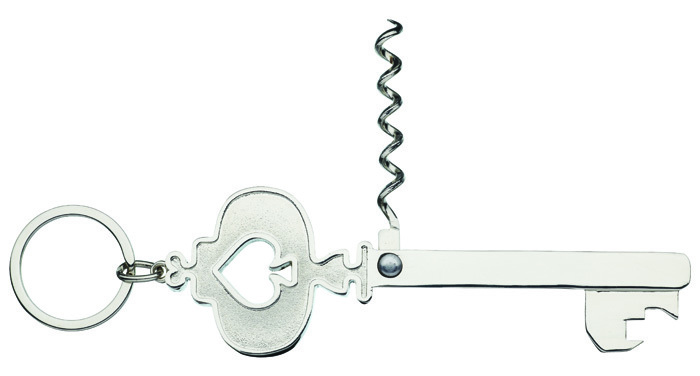 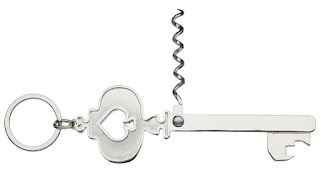 With the corkscrew hidden inside the 'key', it's very clever, practical and would make a unique gift! 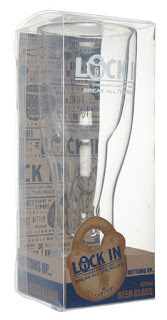 I was also very pleased that the design was used to form the packaging for this range. I talked to the amazing packaging artworkers at Kitchen Craft about keeping the packaging very masculine in terms of materials, such as corrugated card and rough twine. 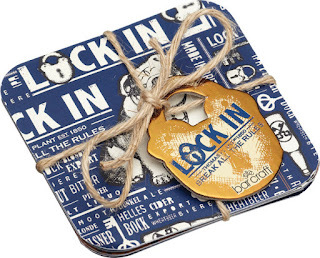 I think they did a fantastic job interpreting this into swing tags and really like how they have used the repeat print to form backing cards and inserts to compliment the products! 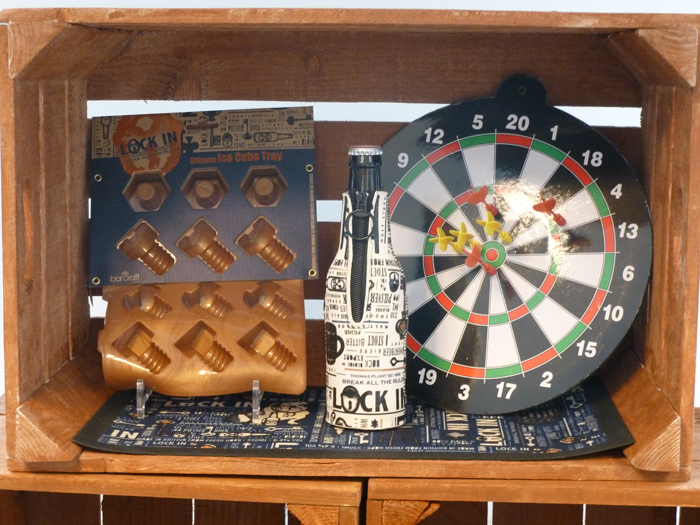 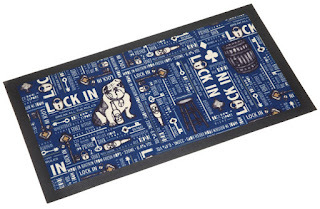 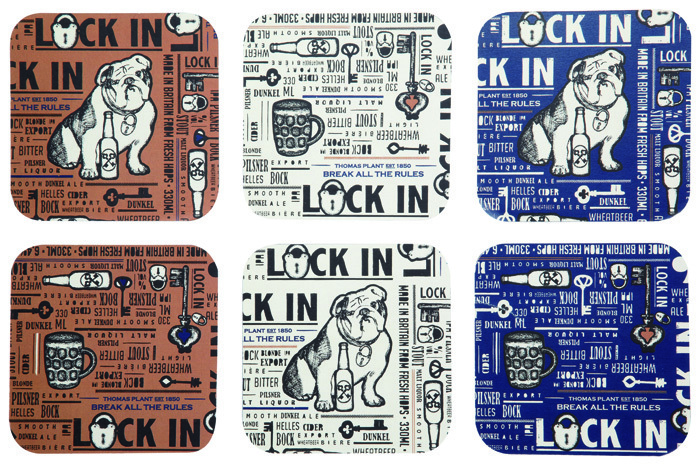 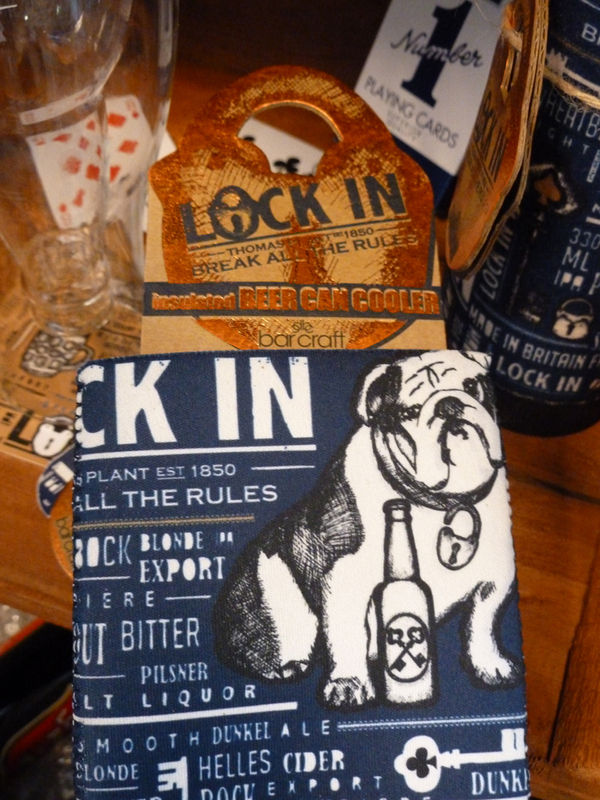 You may recall from an earlier post that I teased you with a photo of a new range of products for Bar Craft, called 'Lock In'. 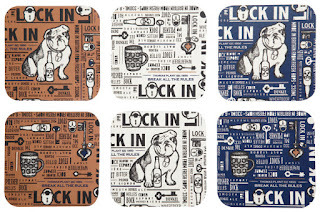 I am so pleased to now be able to show you the whole range! 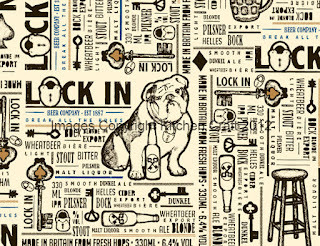 The brief I was given was to create a design for a male gift range that would be evocative of traditional pub imagery for use on bar associated products. 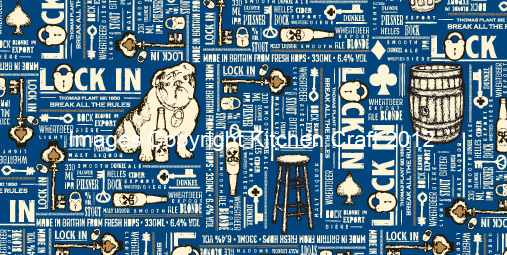 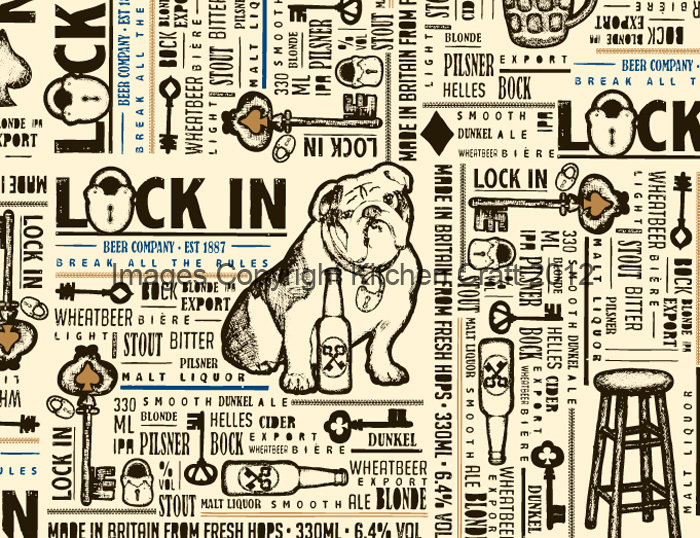 As the pub is a very British phenomenon, I decided to use the British bulldog as my main motif with pub imagery such as bar stools, beer barrels and beer glasses to support this. 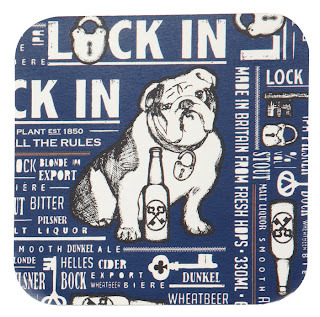 I wanted to keep the illustrations very strong in line-work, (as can be seen in the beer mats above) to create a style with a modern twist on traditional etching. 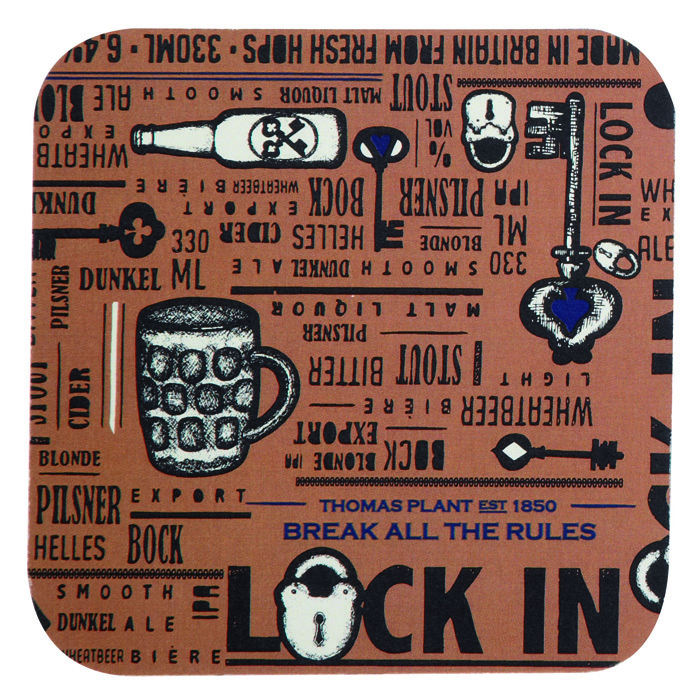 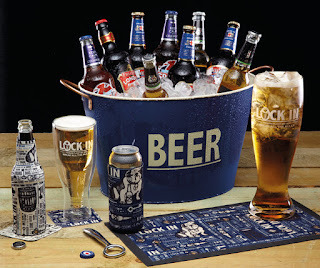 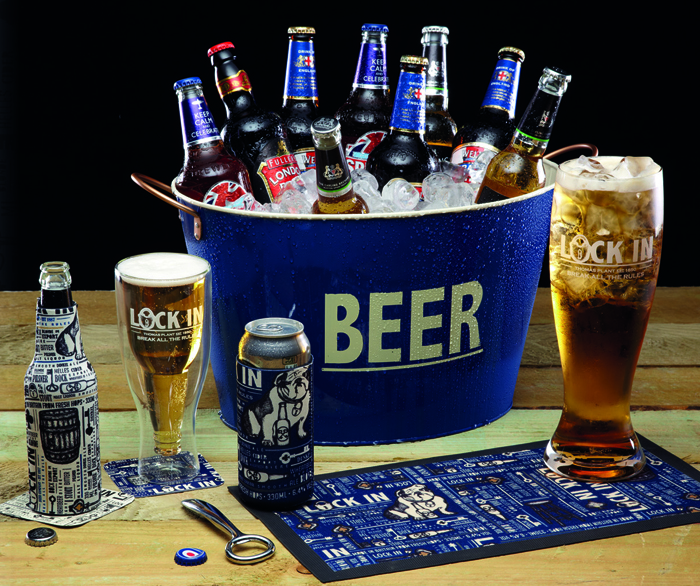 The idea of a 'Lock In' at home is further reinforced with lock and key imagery and a strong typographic layout using words associated with beer. 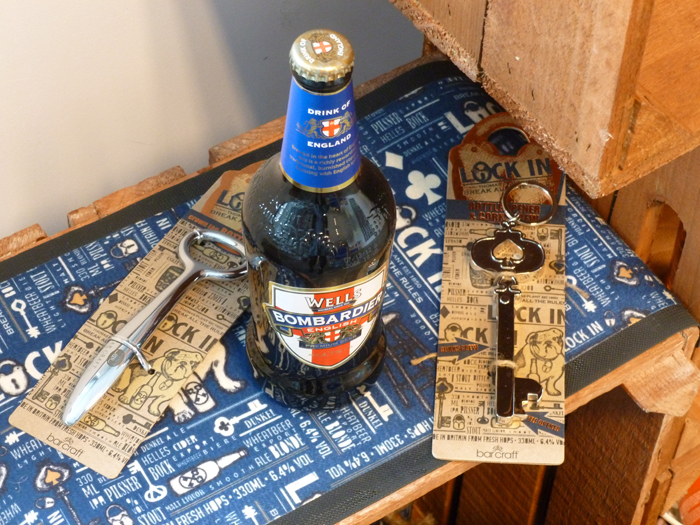 Colour also played an important part, as I chose creams and bronzes to emulate the rich amber colours of beer, complimented by an 'off black' to create an aged effect and navy. 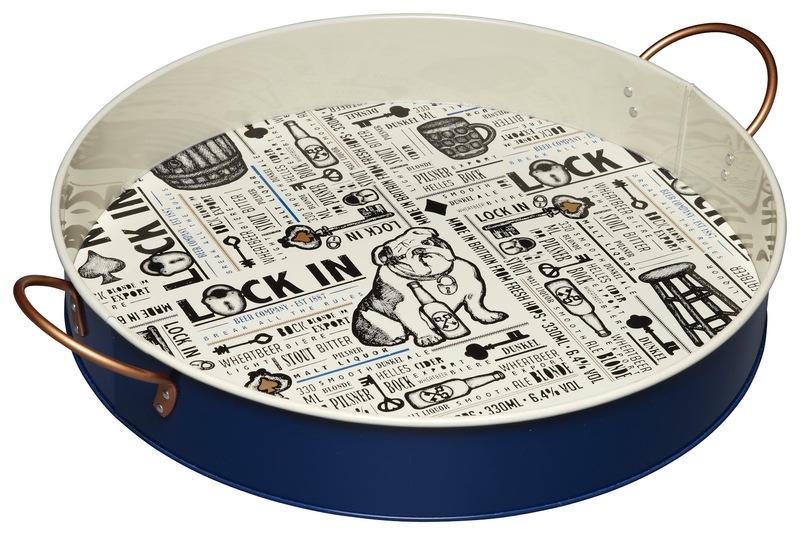 It is unusual for me to work on a brief where more muted colours were required because my designs are often so vibrant, but I really enjoyed the challenge! To find out more about all products available in the 'Lock In' range click here. 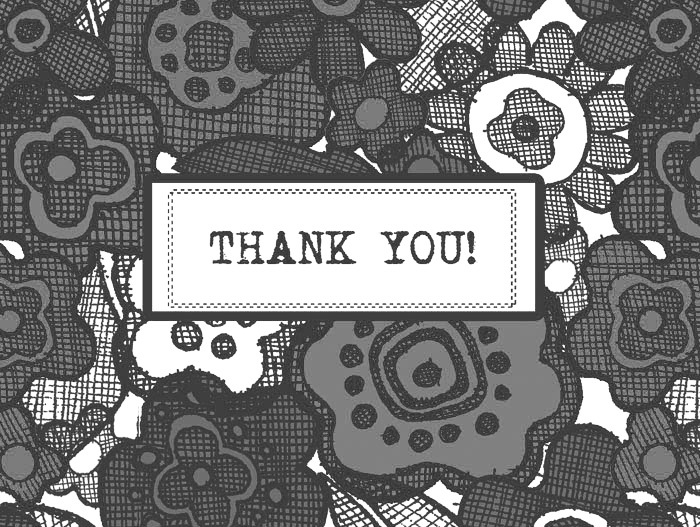 ...to everyone who took part in my 'virtual coffee morning' for Macmillan! 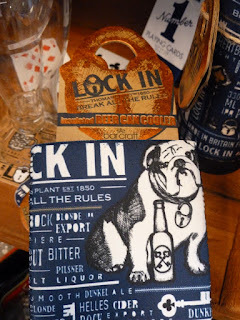 I am very pleased to announce that it has raised £240, which is a huge £300 including gift aid! 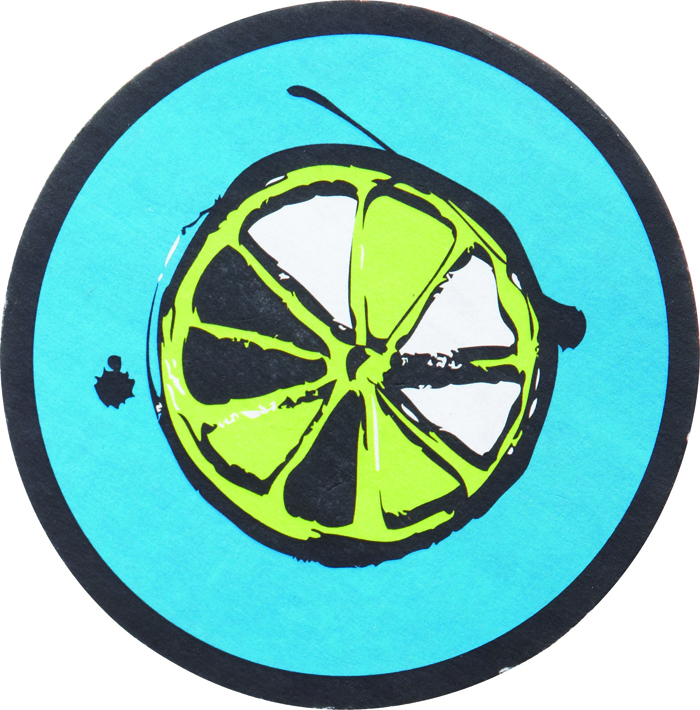 Considering I only came up with the idea a couple of days before the event was launched I think it has been a huge success and I am so grateful to everyone who bought 'cakes' and posted the links on their social networking pages! This money will go towards helping Macmillan help to improve the lives of people with cancer.